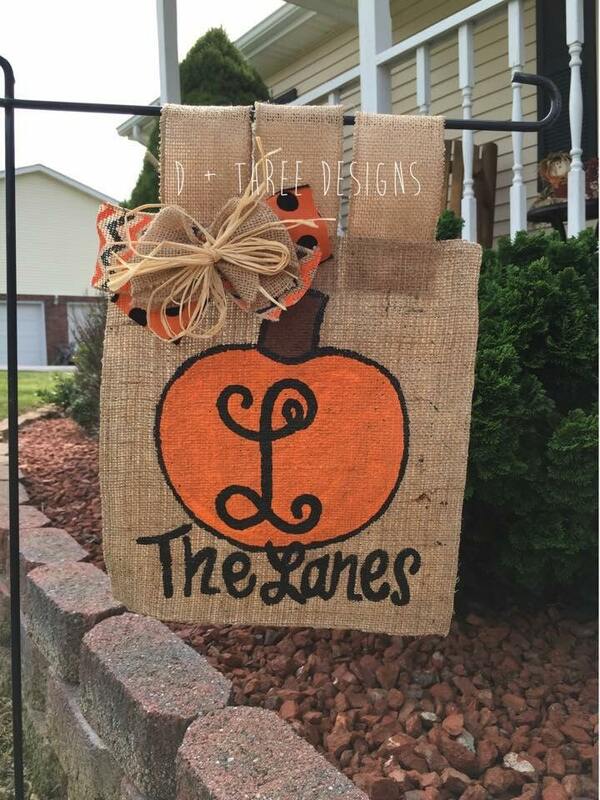 Here's our new fall design: a big orange festive monogram pumpkin + personalize wording below it! It measures approximately 12 x 12 and is painted harvest orange and black topped off with a customized monogram in the center. We just love the jumbo multi-layered matching bow! This is made on burlap, hand painted, and sealed. Please put the monogram initial and wording you would like in the "notes to seller" in the box upon check out. We are happy to accommodate your requests!